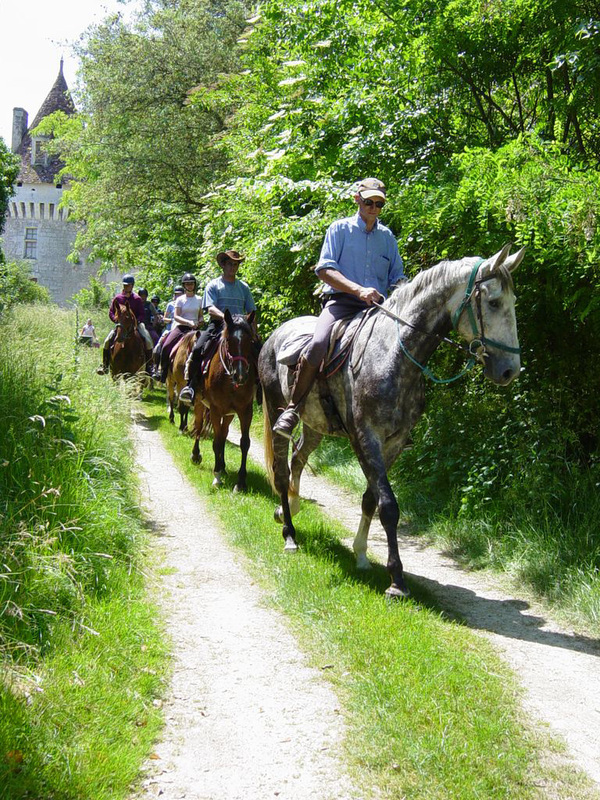 Dordogne Riding has been offering wonderful horse riding holidays in this most beautiful part of France for over a decade. 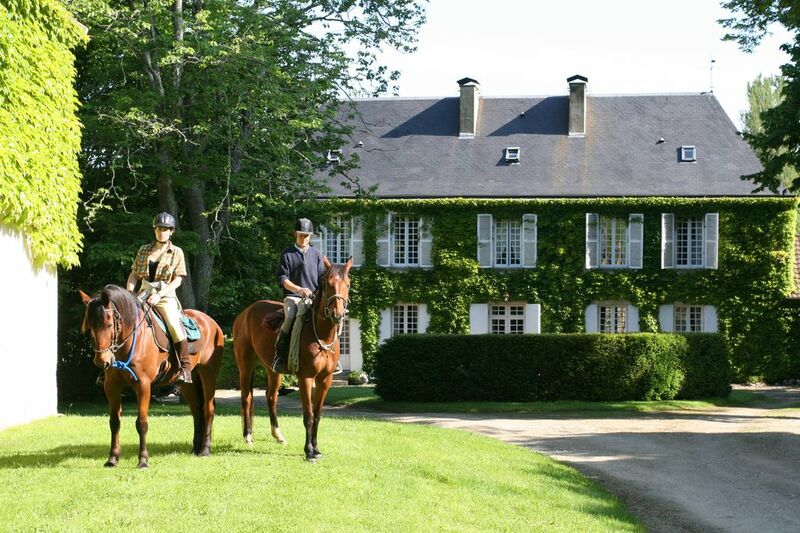 We are delighted to share this relaxing and quintessentially rural corner of France with experienced riders from all corners of the world on horses you would be pleased to call your own. Your French-speaking English host Jane Hanslip has lived here for over 20 years and, as the author of a best-selling guide to the Dordogne, she is the perfect person to show you the hidden treasures, as well as the justifiably famous sights. The relaxed welcoming atmosphere of le Bourdil Blanc, the 18th century manor house which is your home throughout your stay, offers a unique 'house party' atmosphere. Every effort is made to make you feel at home, while discrete staff apply their magic to ensure your comfort. 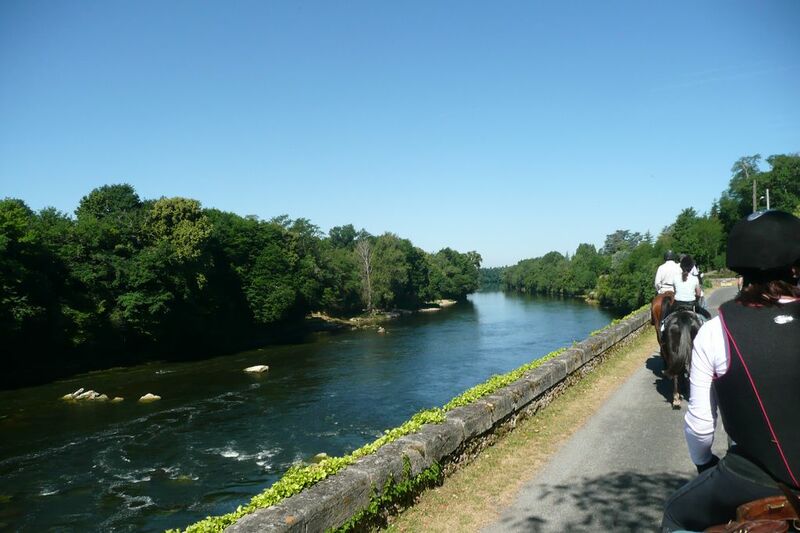 The carefully planned week-long riding route starts and ends at Le Bourdil Blanc. Each evening you return to the manoir for aperitifs on the terrace overlooking the lake before a delicious dinner prepared by the in-house cook, whilst the horses stay out en route for some nights. The ease with which you reach the horses each morning means maximum ride time with no need to unpack each evening and re-pack each morning. This gives riders unbeatable flexibility. If you feel like a change and wish to spend a day snoozing by the heated pool in the extensive gardens, rather than riding through a beautiful chestnut forest or enjoying exclusive access to the rolling grasslands of a chateau estate - no problem. Half a day's riding in order to join a non-riding companion to go and explore one of the fairy tale medieval towns in the area? Of course. Need to get back to the office early and can’t stay the full week? A pity, but not a problem. "Comme vous voulez" as they say here - "As you wish…"
Rides are for intermediate and above riders and held on set dates. In addition alternative weeks may be available for groups of 6 riders or more.